In an attempt to minimize spam on users' news feeds, Facebook is working on a new tweak to crack down on 'clickbait' posts, i.e. posts that attract user-attention (and clicks) explicitly. Headlines such as "You will never believe what happened next" qualify as such, and will come under scrutiny. Not only are such posts irrelevant, a majority of them also link to spam websites with potentially malicious intent. So how will Facebook be able to distinguish between deceptive, clickbait headlines and those that are effective? Facebook won't make a judgement call on that one. Instead, it will be relying on user behavior to suggest they got any value out of the story or now. Another factor we will use to try and show fewer of these types of stories is to look at the ratio of people clicking on the content compared to people discussing and sharing it with their friends," the Facebook team wrote. 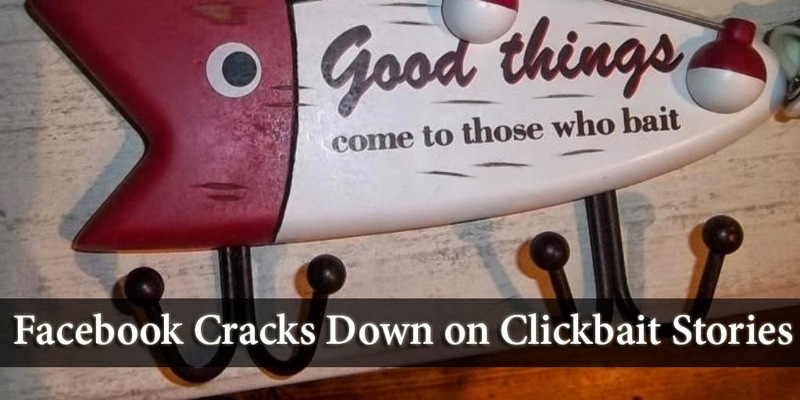 "If a lot of people click on the link, but relatively few people click Like, or comment on the story when they return to Facebook, this also suggests that people didn't click through to something that was valuable to them. So far with this change, you probably won't see any noticeable change in your news feed. This is more of a penalty that we see so often in search engines. Too many people spending too little a time on an external page would incur a negative penalty on a particular story. The change could have a major impact on digital media companies. Facebook has become one of the most influential publishing platforms, driving major traffic to sites that have a strong following on the site and are able to get users to share posts with friends. Now this obviously is alarming news for certain types of businesses. People tend to spend a lot more time reading articles than they do looking at images. So comic artists, for example, might see some problem with people spending less time on their comics than on other people's articles. This could also mean that if a number of people open a link, but should suddenly decide to navigate back to Facebook whether out of spite or mere coincidence, it could still lead to a penalty. Hello Qasim I want to ask you something different from this post, and since I am your regular reader, I hope you would help. My blog was http://www.makeupreviewshall.com was getting average traffic till yesterday and suddenly in the morning huge drop in serp and traffic reduced to 30%. I dont know what I did wrong ans what penalty I have been hit through. Pls take a look at my blog and just suggest me how can I fix it if possible.